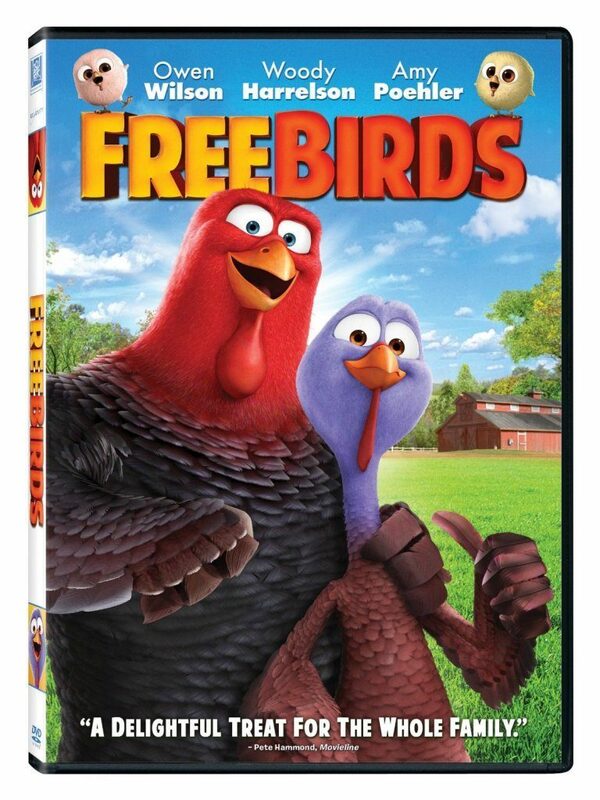 Free Birds on DVD Only $2.99 + FREE Shipping with Prime! You are here: Home / Great Deals / Amazon Deals / Free Birds on DVD Only $2.99 + FREE Shipping with Prime! Head over to Amazon and get Free Birds on DVD for $2.99 or Blu-Ray for $4.99. Shipping will be FREE with Amazon Prime or an order of $35 or more. From the Academy Award-Winning producer of Shrek* comes a hilarious animated adventure about two turkeys from opposite sides of the tracks who travel back in time in order to keep their species off the Thanksgiving menu. Featuring an all-star voice cast, including Owen Wilson, Woody Harrelson and Amy Poehler, Free Birds is loaded with laughs and stuffed with fun for the whole family!